The Malaysian ace comes from behind to draw level and force the match into a decider in the men's singles final against Axelsen. The kind of composure he showed against the Dane was second to none. A couple of errors at the net by Axelsen allowed Lee to make a comeback. Lee Chong Wei has clearly struggled to match up to the pace of Axelsen in the first hurdle. It just took 21 minutes for the Dane to unsettle six-time winner Lee. The mix of crosscourt shots and straight smashes are proving to be a handful for the Malaysian. It took 53 minutes for the Olympic champion to beat the defending champion He Bingjiao in straight games. After a steady start, He crumbled under pressure and gave away three game-points, while it was Marin magic in the second. She ended her 22-month title-drought at Superseries events after winning the 2015 All England Championship. Since then, she has been four finals but she has failed to take gold. What a roller-coaster first game in the women's singles final. The Spaniard saves three game-points to claim the first game in 31 minutes. Marin played differently after the mid-game interval and was rubbing shoulders with He. She took her chances and took a 1-0 lead. The unseeded Chinese pair defeated qualifier Takuro Hoki and Sayaka Hirota of Japan 21-13, 21-8 in just 32 minutes to claim the gold in Tokyo. Incredible attacking from Wang did the trick for the Chinese pair, while Hoki and Hirota had no answer whatsoever. A world class performance from the Indonesian pair to lift their fourth Superseries title in 2017 so far. Remember, there is a possibility of bagging more medals as four Superseries tournaments await. Crowd favourite pair of Takuto and Yuki did not trouble the third seed duo as they succumbed to the pressure right from the beginning. Home favourites Misaki Matsutumo and Ayaka Takahashi prevail over South Korea's Kim Ha Na and Hee Yong Kong in straight games 21-18, 21-16. This is the second Japan Open Superseries title for the top seeds. The Korean pair didn't quite prove to be a threat for the local favourites who ensured they never lost the momentum. Matsutumo and Takahashi won their first Superseries title in 2014 at this same tournament and were finalists in the previous edition. This time, they went one step above to end up winners and proved worthy of their top billing. The World Champion adds another title to his name. 18-8! Axelsen is just in demolition mode. He knows where to hit and how much power it will take to down six-time winner Lee. 17-6! An eleven-point advantage for the Dane in the decider. This puts him in the driver's seat. The shot selection in the decider has been top notch. 13-4! Lee is making numerous errors at the net. His returns have hit the frame and Axelsen is loving it at the other end. 10-2! An eight-point lead for the Dane in the decider. Axelsen uses his tall height to his advantage while playing winners and defensive shots. Just a reminder, Axelsen squandered an eight-point lead at the mid-game interval of the decider in the final two years ago against Lin Dan. However, he is a different player right now. 7-2! Axelsen maintains his five-point lead over Lee in the third game of the men's singles final. The start tells you everything how clinical Axelsen is during pressure situations. 5-0 in no time. What is Axelsen up to? This is carnage. 18-18! Four straight points for Lee to draw level in the second game against Axelsen. It is surely a see-saw battle between the two. 14-17! A great winner (367 KPH) by Lee stops Axelsen from winning his eighth point on the trot. Axelsen is looking to finish the job as early as he can. Lee must mix his shots well now. 13-13! Axelsen strikes back to level the scores. Notably, he repositioned himself after losing points at the forecourt. What a humdinger of second game this is! 13-10! Lee is looking in good touch after losing the opening game quite easily. He has stretched the Dane with a couple of strong smashes. 9-9! A very tense battle at the net right now. Both the shuttlers are covering the court well to hit clean returns. 9-7! A two-point lead for Lee. The last 6 points have gone in the Malaysian ace's favour. 7-6! Axelsen fails to execute a net shot which allows Lee to take a slender one-point lead in the second game. 6-4! Incredible deceptive shot from the Dane to restore his two-point lead. Lee was expecting a crosscourt drop but Axelsen drills it straight down the middle of the court. 4-5! The longest rally of the match so far. A 50-shot rally goes in favour of Lee as Axelsen fails to send the shuttle across the net with a cheeky wrist shot. 3-3! A superb crosscourt smash by Lee to level the scores in the second game. He needs more than what he has done in the past two tournaments to cause problems for Axelsen. 19-13! Lee is feeling the pressure in the dying stages of the first game. He overhits a backhand shot which lands wide and gifts a point to Axelsen. 17-10! The rallies are starting to develop now. Lee is a natural rally player and he can still make a comeback with the help of his strong backhand. Axelsen has the reach to defend almost anything. 16-9! Axelsen is running away with a healthy lead in the first hurdle of this much-anticipated final. Lee has struggled at the net, while the Dane has dictated the play. 14-7! A strong forehand smash takes Lee by surprise. The Dane can hit a lethal shot out of nowhere. 13-6! A good seven-point lead for Axelsen over Lee in the opening game. The Dane looks sharper after the mid-game interval. Axelsen is in red-hot form. The lanky Dane has the ability to unsettle his opponent with strong backhand drives and attacking strokes at the net. #Axelsen has a 5-point advantage over Lee in the break of opening game. Leads 11-6! 5-8! That's four straight points for the Malaysian ace. Clinical and control net shots to close the gap on Axelsen's lead in the opening game. 8-1! A healthy six-point advantage for the Danish shuttler against Lee. Axelsen is making complete use of his height and reach to ploy deep smashes. 2-0! Axelsen starts confidently against Lee Chong Wei in the early stages of the opening game. Today's showpiece final will have surprises and more so from the in-form Dane, who for the first time, appears as the firm favourite against Lee. Having maintained a 100 percent record in the competition with back-to-back straight-game wins en route to final, the 2017 India Superseries champion has become the man to beat. What makes Axelsen a difficult opponent to take on is the range of shots he has in his armoury. 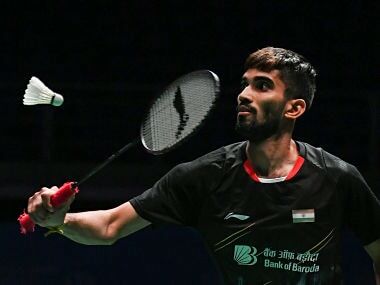 The 21-17, 21-17 win over Srikanth showed how well he can mix his shots from the forecourt, while the 21-16, 21-16 score against Son indicated that Axelsen's admirable attacking prowess can turn the game around in no time. “I knew it would be tough. Son Wan Ho is world No 1 for good reason but I am really happy with my attacking game. There were a few mistakes but I handled the situation well,” 23-year-old Axelsen was quoted by saying the official BWF website. “I respect Lee Chong Wei a lot. He has won so many tournaments and I have only beaten him once. Tomorrow will be really tough but I am looking forward to it,” he added. History will favour the experienced Malaysian over the giant-killer Dane in the final of yet another mega event. There is no hiding that with age, it is getting tougher for the 34-year-old ace, but after crumbling to second place finishes at numerous events, Lee isn't going to let Axelsen run away with the gold medal. 11-19! Can He actually stun Marin in the second game? Marin is feeling the heat. Report: The only Indians in the fray, the doubles pair of Sikki Reddy and Pranaav Jerry Chopra went down fighting in their maiden Superseries semi-final. The Indian duo lost 21-14, 15-21, 19-21 to the home favourites Takuro Hoki and Sayaka Hirota. In the men's singles semi-final, defending champion and six-time Japan Open champion Lee Chong Wei scripted a tremendous fightback to win the opening game against Shi Yuqi after being seven points down to eventually win 21-19. Any doubts on his performance was put to rest as he demolished Shi's game in the second to win 21-8 and storm into the finals one more time. Lee will be go against World Champion and Olympic bronze medallist Viktor Axelsen from Denmark. Axelsen who had beat Kidambi Srikanth in the earlier stages of the tournament faced a tough match against World No 1 Son Wan Ho of South Korea. 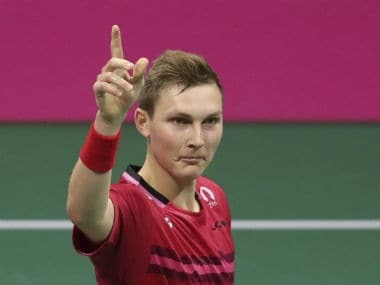 Axelsen showed his mettle against Son to seal his place in the final of Japan Open Superseries. This will be the Dane's second straight appearance in the final of a mega event. His sharpness at the net tight seemed to have troubled Son who was equally good, but it was Axelsen's quick feet and range of shots that saw him get the better of the Korean in straight games. 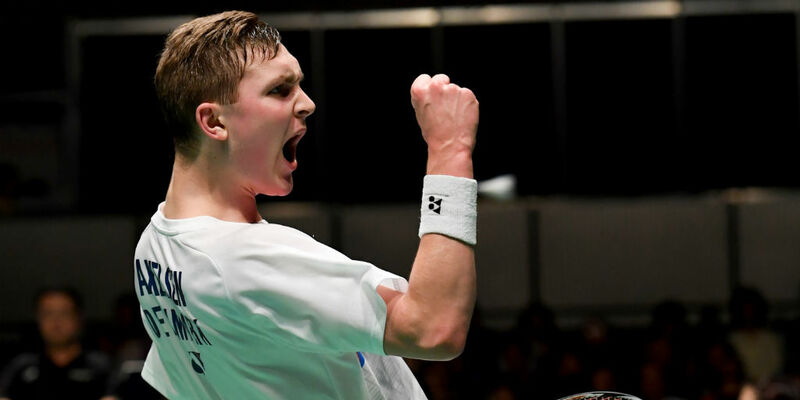 Axelsen seemed to have the required firepower to fuel himself across the finish line by opening up the lead in the requisite moments to set up a clash against the Malaysian ace for his first Japan Open Superseries title. It was heartbreak for World Champion Nozomi Okuhara as a knee injury forced her to withdraw from the tournament and hand a walkover to Spain's Carolina Marin. The Spaniard will face defending champion He Bingjiao for a shot at her first Japan Open title. He booked a place in the final by defeating compatriot Chen Yufei in straight games. Despite winning the first game with ease, He was stretched in the second by a defensive Chen. He made quick returns in the opening game to frustrate Chen, who was looking for backhand shots near the sidelines. It was neck and neck in the second with both shuttlers mixing their shots well after the mid-game break. But, it was He who won it, at last, to set up a clash with Carolina Marin in the final of women's singles.